The greatest thing I discovered this week experimenting with the Gin and Tonic was a renewed love of my first favorite cocktail. The Gin and Tonic is an exercise in simplicity. Two ingredients and a twist of lime. But, as we showed in our tonic tasting just because the Gin and Tonic is simple doesn’t mean its easy to perfect. In our reviews we suggested some tonics to get you started. But what about the gin? Like the Tom Collins, the perfect gin for this cocktail is extremely subjective. When I’m mixing with a store bought tonic I like to go with a lighter flavor gin that’s not going to over power the flavors of your chosen tonic. One of my favorites is Indigo. It has a great citrus forward flavor that plays nicely with the tonic. If you step up to a more powerful tonic, like our homemade version, you’re going to need a more powerful gin to balance out the flavors. For G&Ts with the homemade tonic I’ve been reaching for gins with a stronger juniper punch. Juniper Green is working well as are the couple from Bendistillery that I have in my collection. To generalize match your gin with your tonic. The resulting drink will be more balanced and the flavors will play off each other better. Finally the garnish. In most cocktails the garnish may add a touch of flavor, but not much. It’s there as a cocktail decoration. In the Gin and Tonic the garnish, a lime wedge, not only adds visual appeal but also a lot of additional flavor. And, although I love my garnish squeezed into my cocktail, not everyone does. So, hang a lime wedge on the glass and let your guest apply it if they so desire. I’m hoping I don’t need to say this but I will just to be sure. 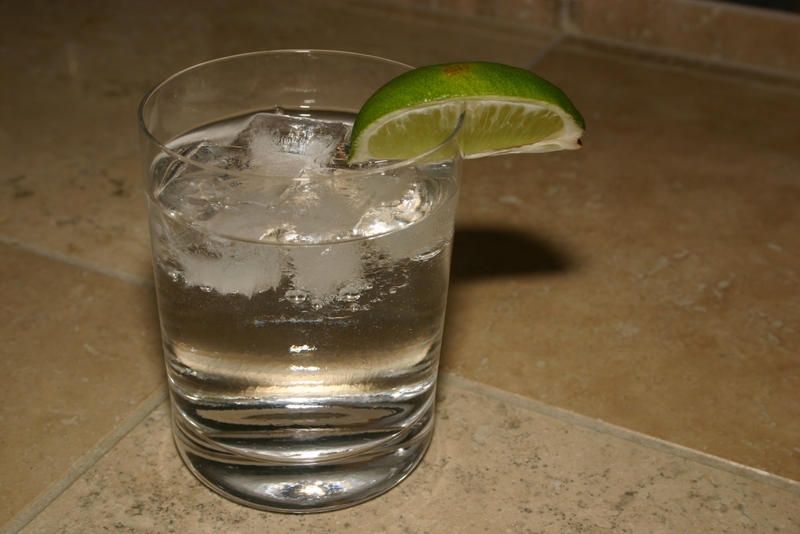 Don’t drop the unsqueezed lime into the drink before you give it to your guest. No one likes having to fish their lime out of the drink just to squeeze it back in.